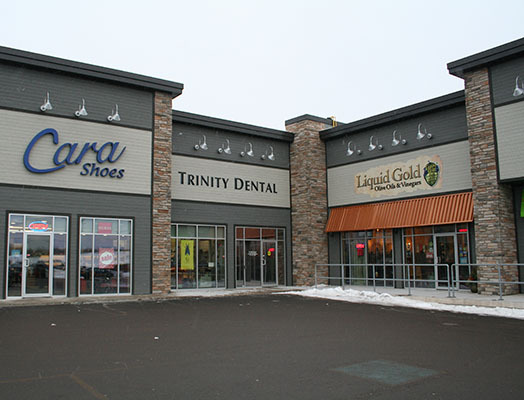 Trinity Dental’s experienced team of caring professionals provides quality treatment in a welcoming, professional atmosphere, featuring a great location, TV’s in all treatment rooms, and a comfortable seating area with WI-FI. In the event of a severe weather system in our area , on a day that you have an appointment scheduled at this clinic, our receptionists will contact you by phone as soon as possible, to advise you if it has been decided that it is best to close for the day. Thank you for your patience and understanding. Everyone feels good when you smile – so make that smile one to remember!